Experience the style and natural beauty of Fort Lauderdale with a rejuvenating stay at Marriott's BeachPlace Towers. 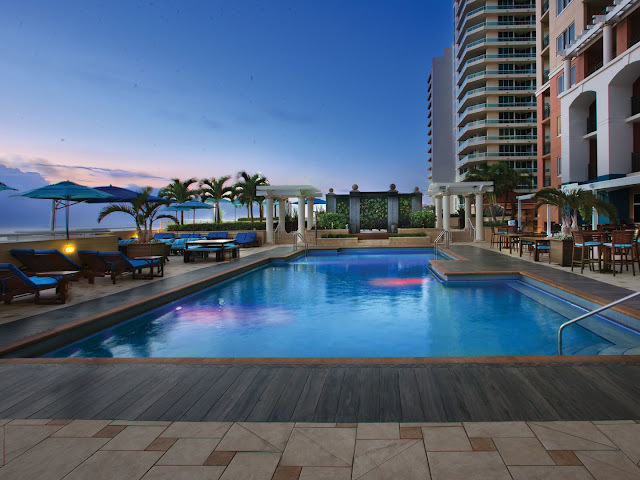 This Fort Lauderdale-area condo style accommodation directly across from the beach sits atop BeachPlace Mall, 2 blocks from the Intracoastal Waterway and 5 miles from the Fort Lauderdale Museum of Art. Marriott guests enjoy an outdoor pool with 2 spa tubs, a sundeck with games tables, a fitness center, and kids' activities. The 206 extra-large rooms at Marriott's BeachPlace Towers offer complimentary wireless Internet access, ceiling fans, refrigerators, and balconies with ocean or Intracoastal Waterway views.